(Milford, CT) Responding to the dramatic increase in opioid overdoses statewide, local agencies are partnering to offer critical life safety training to the public. A training on Narcan™ (Naloxone) administration will be held on April 12th at 6 p.m. at United Way of Milford, 20 Evergreen Avenue in Milford. Narcan™ is an emergency treatment used to reverse life-threatening effects associated with an opioid overdose. This free training is open to the public. The training will include information on overdose prevention strategies, signs and symptoms of overdose, local support resources, the Good Samaritan Law, and hands-on experience with administering Narcan. At the conclusion of the training Narcan™ kits will be available to those who are uninsured that can be used to respond to an opioid overdose. Milford residents are severely impacted by prescription medication and opioid abuse. In 2017, first responders in Milford used Narcan to reverse overdoses 89 times. This number under-represents the actual number of overdose rates in the community as it does not include residents who were treated by someone other than the Milford Fire Department or residents who are treated outside of the community. Local agencies partnering to organize the training include State of Connecticut Department of Mental Health and Addiction Services, Connecticut Department of Public Health, Alliance for Prevention & Wellnesss (BHCares), Milford Prevention Council, Milford Health Department, Bridges Healthcare and mobile pharmacist Ray Pantalena of Howe’s in Milford. 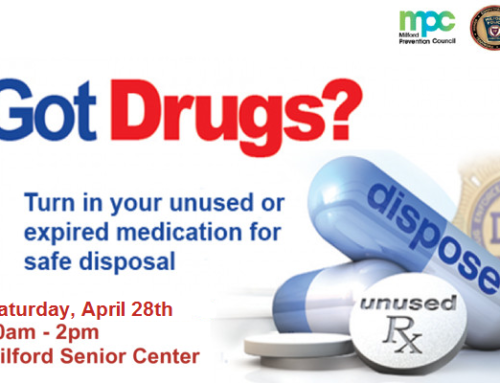 Pre-Registration for the training is required at http://bit.ly/milfordnarcan. Light refreshments will be provided. The mission of the Milford Prevention Council (MPC) is to reduce underage drinking and substance abuse through prevention education, the support of law enforcement and the strengthening of our community collaboration in Milford and surrounding areas. The MPC is a 501(c)(3) organization and a partner organization of United Way of Milford. For more information please visit milfordprevention.org.